A 5-day Training Program to provide participants with tools and techniques to manage training activities and develop training courses in a corporate environment. The Training Program will begin with the concepts of planning and developing corporate training from a managerial perspective. 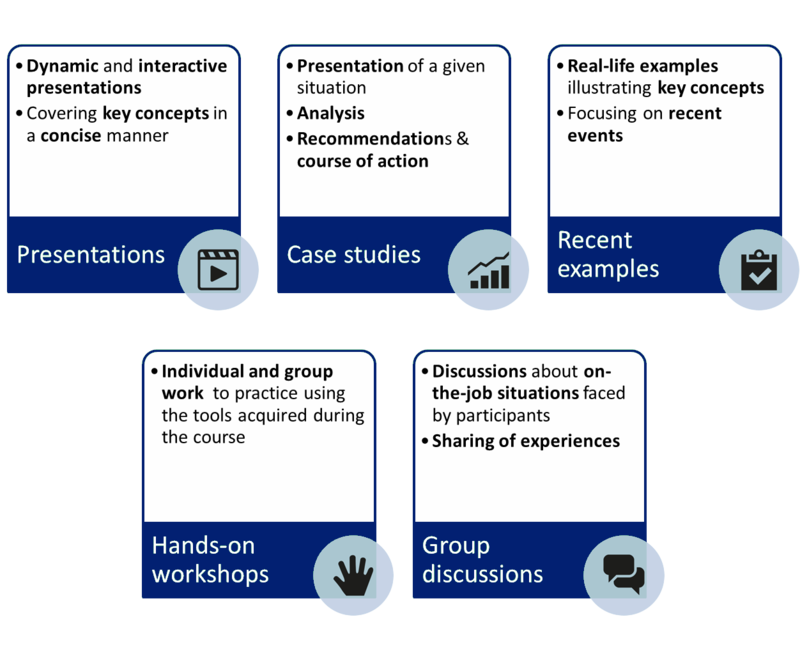 Using hands-on workshops, participants will then be lead through a step-by-step, systematic approach to planning and developing training courses.